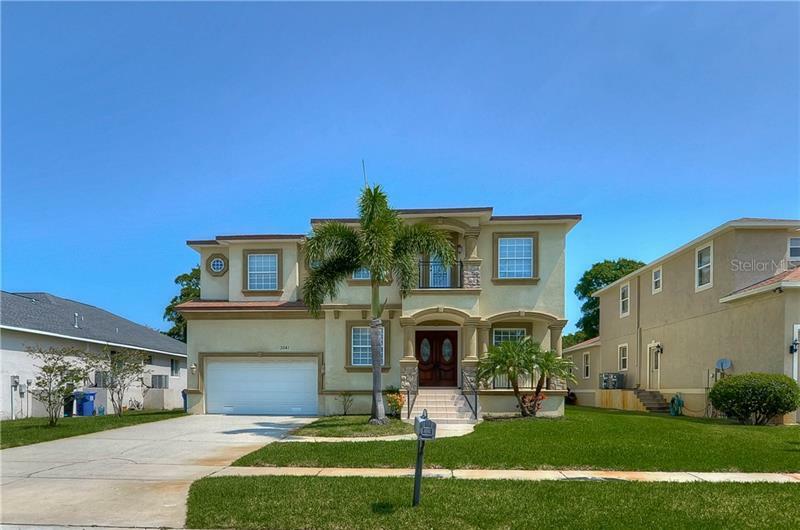 Do you want to live in an area that has low taxes, no flood zone, Tampa Bay, Tampa Airport, beaches, shopping, restaurants and walking distance to A rated schools including Plant High School? Then you must see this gorgeous completely rehabbed home nestled in the best location South Tampa has to offer! This ranch style home has an open floor plan which includes: a family room,a living room with a wood burning fireplace,dining area and a kitchen area. The kitchen is a true chef's kitchen which boasts a stand alone island, all new wood Mohawk-soft close cabinets, level 5 granite and Whirlpool stainless steel appliances. The best feature of the home is the Master Suite that has a magnificent bathroom with a stand alone tub, a large 4 x 5 shower with a rainfall shower head and an extra large walk-in closet. The master suite has French doors that open up to your brand new multi level deck, covered with an awning, that is perfect for entertaining guests. This unbelievable deck walks out to your expansive backyard fit for the pool of your dreams! The backyard is completely fenced in for privacy and has a shed for extra storage. A few additional features include:a brand new water heater, floating engineered hardwood floors with a 1/2 inch pad for extra cushion, solar panels on the roof (roof was redone in 2016) to keep your energy bill down, new sod, new hurricane proof ,blinds, and a brand new Rain Bird irrigation system to keep this beautiful yard green and luscious.